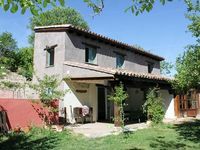 Rural house Las Callejuelas for 6 people. 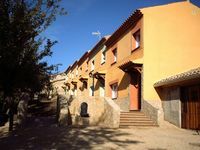 Property 33: Rural house Las Callejuelas for 6 people. We spent a day here to celebrate a party had a fantastic paella for lunch (the best I've ever tasted) an afternoon full of games/swimming pool and relaxing, then a delicious BBQ and party in the evening/night. The views are delightful, the food is amazing and there's a playground for kids, and games for kids and adults together with a lovely plunge pool for cooling down on hot summer days. Highly recommended. I can only recommend this accommodation, the house is very comfortable, spotlessly clean and the location excellent. The countryside close to the village (Las Majadas) fantastic and the owner could not have been more helpful and lovely. In addition to that, Cuenca is only 30 km away (45 minutes drive) and that city is a must in Spain, I would say.